10 Why would you not perceive it as release from suffering to learn that you are free? Why would you not acclaim the truth, instead of looking on it as an enemy? Why does an easy path, so clearly marked it is impossible to lose the way, seem thorny, rough, and far too difficult for you to follow? Is it not because you see it as the road to hell instead of looking on it as a simple way, without a sacrifice or any loss, to find yourself in Heaven and in God? Until you realize you give up nothing, until you understand there is no loss, you will have some regrets about the way that you have chosen. And you will not see the many gains your choice has offered you. Yet though you do not see them, they are there. Their cause has been effected, and they must be present where their cause has entered in. 11 You have accepted healing's Cause, and so it must be you are healed. And being healed, the power to heal must also now be yours. The miracle is not a separate thing which happens suddenly, as an effect without a cause. Nor is it in itself a cause. But where its cause is must it be. Now is it caused, though not as yet perceived. And its effects are there, though not yet seen. Look inward now, and you will not behold a reason for regret but cause indeed for glad rejoicing and for hope of peace. 12 It has been hopeless to attempt to find the hope of peace upon a battleground. It has been futile to demand escape from sin and pain of what was made to serve the function of retaining sin and pain. For pain and sin are one illusion, as are hate and fear, attack and guilt but one. Where they are causeless, their effects are gone, and love must come wherever they are not. Why are you not rejoicing? You are free of pain and sickness, misery and loss, and all effects of hatred and attack. No more is pain your friend and guilt your god, and you should welcome the effects of love. 13 Your Guest has come. You asked Him, and He came. You did not hear Him enter, for you did not wholly welcome Him. And yet His gifts came with Him. He has laid them at your feet and asks you now that you will look on them and take them for your own. He needs your help in giving them to all who walk apart believing they are separate and alone. They will be healed when you accept your gifts, because your Guest will welcome everyone whose feet have touched the holy ground whereon you stand and where His gifts for them are laid. 14 You do not see how much you now can give because of everything you have received. Yet He Who entered in but waits for you to come where you invited Him to be. There is no other place where He can find His host nor where His host can meet with Him. And nowhere else His gifts of peace and joy and all the happiness His Presence brings can be obtained. For they are where He is Who brought them with Him that they might be yours. You cannot see your Guest, but you can see the gifts He brought. And when you look on them, you will believe His Presence must be there. For what you now can do could not be done without the love and grace His Presence holds. 15 Such is the promise of the living God—His Son have life and every living thing be part of him, and nothing else have life. What you have given "life" is not alive and symbolizes but your wish to be alive apart from life, alive in death, with death perceived as life, and living, death. Confusion follows on confusion here, for on confusion has this world been based, and there is nothing else it rests upon. Its basis does not change, although it seems to be in constant change. Yet what is that except the state confusion really means? Stability to those who are confused is meaningless, and shift and change become the law on which they predicate their lives. 16 The body does not change. It represents the larger dream that change is possible. To change is to attain a state unlike the one in which you found yourself before. There is no change in immortality, and Heaven knows it not. Yet here on earth it has a double purpose, for it can be made to teach opposing things. And they reflect the teacher who is teaching them. The body can appear to change with time, with sickness or with health, and with events that seem to alter it. Yet this but means the mind remains unchanged in its belief of what the purpose of the body is. 17 Sickness is a demand the body be a thing that it is not. Its nothingness is guarantee that it can not be sick. In your demand that it be more than this lies the idea of sickness. For it asks that God be less than all He really is. What, then, becomes of you, for it is you of whom the sacrifice is asked? For He is told that part of Him belongs to Him no longer. He must sacrifice your self, and in His sacrifice are you made more, and He is lessened by the loss of you. And what is gone from Him becomes your god, protecting you from being part of Him. 18 The body that is asked to be a god will be attacked because its nothingness has not been recognized. And so it seems to be a thing with power in itself. As something, it can be perceived and thought to feel and act and hold you in its grasp as prisoner to itself. And it can fail to be what you demanded that it be. And you will hate it for its littleness, unmindful that the failure does not lie in that it is not more than it should be but only in your failure to perceive that it is nothing. Yet its nothingness is your salvation, from which you would flee. 19 As "something" is the body asked to be God's enemy, replacing what He is with littleness and limit and despair. It is His loss you celebrate when you behold the body as a thing you love, or look upon it as a thing you hate. For if He be the sum of everything, then what is not in Him does not exist, and His completion is its nothingness. Your savior is not dead, nor does he dwell in what was built as temple unto death. He lives in God, and it is this that makes him savior unto you, and only this. His body's nothingness releases yours from sickness and from death. For what is yours cannot be more nor less than what is his. There is a peace the Christ bestows on us. 1 Who uses but Christ's vision finds a peace so deep and quiet, undisturbable and wholly changeless that the world contains no counterpart. Comparisons are still before this peace. And all the world departs in silence as this peace envelops it and gently carries it to truth, no more to be the home of fear. For Love has come and healed the world by giving it Christ's peace. 2 Father, the peace of Christ is given us because it is Your Will that we be saved. Help us today but to accept Your gift and judge it not. For it has come to us to save us from our judgment on ourselves. When we experience the peace of God, we experience "a peace so deep and quiet, undisturbable and wholly changeless, that the world contains no counterpart." (W.305.1.1) It is a peace where there is only the extension outward of the deep quiet within. When we experience this peace, the dream of this world has no effect on us at all. It does not matter what is happening in the dream because it no longer has any effect on us. When the mind, which is the cause of everything we see, is quiet and at peace, only peace is reflected in the world. In the Manual for Teachers, Section 20, "What is the Peace of God?" Jesus describes peace as unlike any of our previous experiences. "It calls to mind nothing that went before. It brings with it no past associations. It is a new thing entirely." (M.20.2.3-5) Thus, it is called a step out of time. It is a kind of peace not of this world. "The past just slips away, and in its place is everlasting quiet. Only that." (M.20.2.8-9) Everything we saw and thought we understood before disappears and, with it, all effects are gone. When the wrong-minded thought system of lack, specialness, neediness, and unworthiness, which is the cause of all our suffering, is released through forgiveness, the mind no longer looks outside for completion. Jesus tells us, "No one can fail to find it who but seeks out its conditions." (M.20.3.2) He goes on to say it requires giving up anger. Justifying anger in any way "proclaims that peace is meaningless, and must believe that it cannot exist." (M.20.3.4) Jesus is not saying we won't be angry or should not be angry, only that we should not justify it as having any cause outside of our own minds. Anger comes from the beliefs, thoughts, values, and concepts we hold. When we look at them with a willingness to heal, we can then bring them to the Holy Spirit. We can choose to release our anger rather than acting on it. Investigating the beliefs that we hold that bring forth grievances will help us to recognize the source of the anger in our mind. Forgiveness is the answer. When we are triggered by anything, it is an opportunity to inquire more deeply into what is going on in our mind. It is important to look at what this investigation involves. It is not about analysis, but only about inquiring what beliefs we are holding. As we are told, "The ego analyzes; the Holy Spirit accepts." 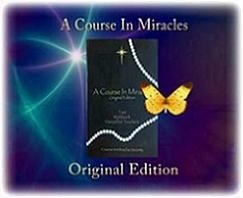 (T.11.V.13.1) (ACIM OE T.10.VI.53) Any number of situations show up in our daily lives, where we give up our peace. It might be a betrayal by a friend, feeling victimized at work, having financial problems, experiencing illness, or having a computer that has crashed. These are situations we judge as bad, but the Holy Spirit accepts appearances as neither good nor bad. When we look at what is happening with the Holy Spirit as our Guide, we don't judge anything as good nor bad, but simply as unreal. Sickness and health are seen as the same, both being unreal, just as the body is unreal. When we analyze the situation by looking at it with the ego, we start with the belief that the situation is true. Now we wonder how we attracted it or manifested it and start the process of analysis. With investigation or inquiry, we accept that the appearance has no reality. Yes, it may still upset us, but now we recognize that we are upset because we are holding a belief in our mind that is causing us pain. We simply investigate what it is that we are believing that is not true, so our false beliefs can be released and the peace, already in us, can shine forth. God's peace is a gift, which "has come to us to save us from our judgment on ourselves." (W.305.2.3) We have judged ourselves as guilty and not deserving of peace. We believe we have to suffer and atone for that guilt. I recently was at a conference where Brent Haskell told the story of the Prodigal Son and asked how many of us believe we could take our father's treasure, squander it, and then return home without a shred of guilt? Wouldn't we think we had to atone for what we had done? Yet Jesus keeps telling us that we are innocent---now. All we have to do is accept that fact. Brent went on to ask us how we would feel as the good son in this parable. The good son was the one who stayed at home and supported his family. When we identify with him, how many of us would enjoy the celebration of the guilty brother without a shred of resentment? Would not the good son, who stayed at home to help the father, want to be acknowledged as such? It reflects "the face of innocence" that hides attack thoughts and judgments while doing our best to look good and helpful. Always, under this face of innocence, is the belief that someone else should pay for our guilt, while we should get off for good behavior. Jesus says that it is difficult for us to identify with the ego because it is a condition where there is no peace. It is a state of lack. It is a state where we believe we need to get something from the world that we don't currently have in order to be at peace. We look for affirmation from the world to support the image that we have made in place of who we really are. One way to see this in your own life is to look at what you think would make you happy that you don't have now. It is the belief that if you could get it, you would have peace. It may be money, a new job, a relationship, better health, or a new home. In my case, we are currently renovating a bathroom, and I am finding the process frustrating---having to go out and find tiles, paint, toilet and a bathtub and any number of items that seem to be consuming so much of my time. My belief is that when I get all of that in place, I will have peace, but of course, this is not how it works. The peace is there now, behind my belief that it depends on getting certain things accomplished in the world.
" You can relax now. I have your back. I always have had. You think that everything depends on your own efforts. You believe that if you are not taking care of things, they would not be done. You have been mistaken, my dear child. You have carried a burden that has never been yours to carry. I am your strength and support. I have always been there. I have loved you ceaselessly and consistently. You have never been alone. You have never been without Me. You have been mistaken in your belief that it is all up to you. I love you my child with a ceaseless, boundless love. All is well. It always has been. When you took My place on the throne, you took on all the stress, all the responsibility that was never yours to take. It was all unnecessary. Breathe in the love; it has been waiting your acceptance. Open your heart, open your arms, embrace the beauty of You, My beloved. Always and forever... "
As I listened and breathed in these words, sobs wracked my body and I was overcome with gratitude. The truth is that if we do not have peace, it is only because we don't want peace. The first obstacle to peace is our desire to be rid of it, which is startling! Yet you can readily see how true that is. We actively refuse peace when something happens in our lives that we find unpalatable, whether it is something we judge as a serious situation or just a small irritation. We give up our peace for all kinds of reasons. Yet nothing really exists that can take away the peace of God. Our insistence that there are indeed things that can take away our peace is how we actively refuse God's gift. We project our own refusal to accept God's peace by making someone or some situation responsible for our lack of peace. We insist that we are not at peace because of something "out there"---something someone has seemingly done to us. We want to be able to put the blame for our lack of peace somewhere outside of our own mind. The justification for our anger is what Jesus says we need to look at. Can we accept that no one is responsible for our unhappiness except ourselves? This requires that we rest our story about why we don't have peace and take responsibility for our decision not to accept the peace that is already ours. "Why would you want peace homeless? What do you think that it must dispossess to dwell with you? What seems to be the cost you are so unwilling to pay?" (T.19.IV.A.2) (ACIM OE T.19.V.a.41) There is something we think we will lose if we accept peace. What is it? Isn't it that we want to be right about the way we have set things up? Isn't it that we want to see others guilty, so we can buy our own false innocence at their expense? Isn't it that we simply don't trust that if we choose peace, our vigilance on behalf of our own well-being, as we define it, will be jeopardized? Father, help me today to accept the gift of peace, and not to judge it. I willingly take responsibility for my reactions to appearances that show up in my life. I know they are there so I can investigate the beliefs I am holding onto that are not true. I am willing to take responsibility for my judgments, for my desire to attack something outside myself, and for placing the blame there. The Correction is already in my mind. Sanity and peace are already within me. Help me today to choose forgiveness in every situation that I encounter so I may know the peace that is always present behind the dark clouds of my misperceptions. I am willing to look at the insanity of holding onto grievances against anyone or anything. Speak to me of my wholeness. Let me understand that what I see that appears to contradict peace is not real and does not matter. I am willing to have my mind healed, my Father, by recognizing that I have been wrong about who I am. I am willing to surrender my way and be shown the truth. Peace to my mind. Let all my thoughts be still. I am home. I am loved. I am safe. I am free. I am happy. Nothing that I have thought about myself is the truth. Anger is never justified and sickness is not what it appears to be. I am willing to withdraw my judgments on myself that I project onto others and see that I have been wrong. Thus, I can be born again today.